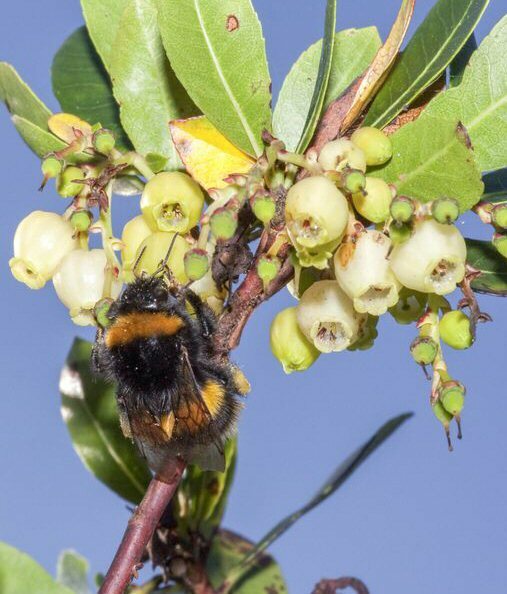 BWARS is continuing its long-term project throughout the winter of 2016-2017, in which we are plotting and monitoring the spread and behaviour of winter active Bombus species in Britain. If you have any records of either Bombus terrestris or B. pratorum between 1 November 2016 and 1 March 2017, please submit the full details via this online recording platform. There is a facility for uploading photographs to support records if you have them. Please use the boxes below to provide information on numbers, sexes, flower visitation, behaviour and nest sites, and include any additional information in the "Comment" section. We are working to improve record submission for touch screen devices but meanwhile we appreciate your efforts and apologise for any difficulties you may encounter. If you do experience difficulties please contact us: nipajones[at]tiscali.co.uk (substitute @ for [at], advising what device you have been using. You are about to submit a sighting of a winter active bumblebee, Bombus terrestris or Bombus pratorum. First, tell us who identified it and provide photos of the record if you have any. This information will help us confirm the record.